Are you looking for an accomplished face painter for your special event? 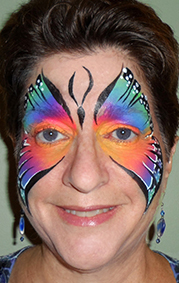 Face Painting By Trudy provides professional face painting for children’s parties in northern New Jersey. Face painting is a terrific idea for birthday parties as well as school or corporate events. I offer colorful and fun designs that are sure to bring a smile to the faces of your guests! 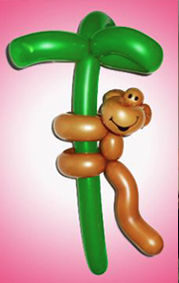 By popular demand, Face Painting by Trudy offers balloon twisting for children’s parties. Picture balloon puppies on a leash, magic wands, swords, butterflys and bow and arrows that actually shoot and you’ll picture a room full of smiling children. So, what makes a face painting party even more fun? A party with face painting AND balloon twisting! Glitter Tattoos are a great addition for those who love sparkle and shine. 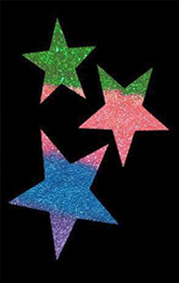 They are small, temporary tattoos made from glitter that shimmers and shines. Best yet, with proper care they can last for 2 to 3 days so the fun continues on even after the party has ended. Choose from a wide selection of designs. A favorite of both children and adults. Welcome to Facepainting by Trudy. As the proud owner of Face Painting By Trudy it is with great satisfaction that I have watched my business grow and thrive over the past 12 years. Thanks to my wonderful clients I have had the honor of entertaining at over 140 parties per year and the number grows each and every year. It’s a pleasure for me to be able to bring a smile to your guests’ faces and to leave them with a fond memory of their time at your party. Birthday parties are as much of a celebration for your guests as it is for the birthday child. Face painting at 1st birthday parties is especially popular. It’s the perfect way to keep your young guests occupied while their parents enjoy some free time and adult conversation. My face painting and balloon creations are just as much fun at corporate events. Companies both large and small host summer picnics and special holiday events for their employees and their families. Some of my corporate clients are Wegmans, Harley Davidson, Marshalls, T.J. Maxx, KinderCare and The Goddard School. What better way to entertain your guests than giving the kids what they love – face painting and balloon twisting by Face Painting by Trudy!